Solar PV and wind generation assets benefitted from ideal conditions as much of the country witnessed unspoiled sunshine, followed by increased wind speeds. Energy monitoring site mygridgb.co.uk, which collates data from various sources to conclude which generators are providing the UK grid with its electricity, claimed that Sunday afternoon saw a number of new records set for renewable and low carbon generators. 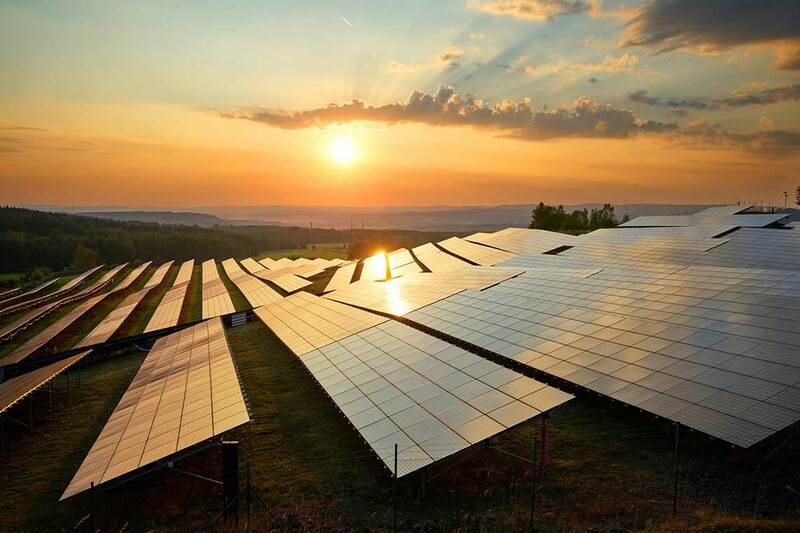 The site claimed that at 2:33pm yesterday solar set a new record for its contribution to the grid, providing more than a quarter (26.25%) of the UK’s total energy demand. This was bettered an hour later when two further records were set, this time for contributions from intermittent renewables (46.98%) and broader low carbon sources (70.93%). A spokesperson for National Grid confirmed the records to Solar Power Portal, adding: "On 9 April 17, between 1400-1500 hrs, total GB Energy demand (National Grid + embedded solar & wind ) was 29 GWh , out of which 13.68 GWh ( 47%) was generated by combination of metered wind ( 4.68 GWh), embedded wind and solar (9.00 GWh). However, overall during the whole day, 25% of the energy was generated from wind & solar." 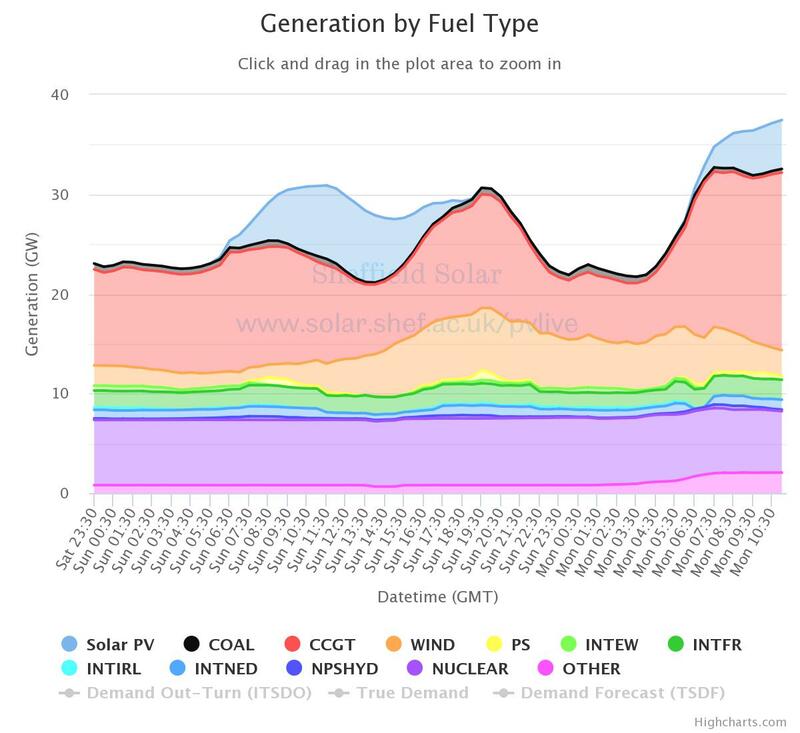 The record-setting day for renewables comes less than a month after National Grid witnessed minimum afternoon demand dip below that of overnight minimum demand for the first time in British history, driven by above average solar generation. It also followed National Grid’s publication of its annual Summer Outlook report, which this year warned that inflexible generators such as nuclear and combined heat & power faced curtailment instructions this summer to make way for increased generation from the country’s burgeoning solar portfolio. Data from Sheffield Solar’s PV_Live project, conducted alongside National Grid, demonstrates solar’s (light blue) increasing role as the afternoon drew on and how it combined with wind (orange) from 3:30pm.